$400?? no.. each unit dish+mount+lnbf is probably well under the $100 per unit. you can buy a 60cm from freeview shop for $80 NZ and thats retail. "The 60cm DishTV Satellite Dish and 11300 LNB are designed especially for NZ conditions with a galvanized panel and high quality powder coating. The pack also contains the universal dish mount and 10m of satellite coax cable with fittings." The good, the bad and the ugly have been thoroughly discussed here. I am no Sky fan and have made that clear. But we still have a subscription though that is hopefully soon to end. The thing I don't get, and I really don't get it, is why Sky dishes up crap like their so-called 'perks', which have absolutely nothing to do with their core business, but ignore obvious things that might really make a difference to their customers. Specifically, I have been trying for days to stream an episode of Year Million on Sky Go. It doesn't work. It should, but it doesn't. Some other things do work, some don't. It may have something to do with Flash. Why on earth is Sky still using Flash at all? Why does it have a Sky Go service that is constantly broken? Why doesn't it do anything to reduce customer frustration if it wants to stop bleeding subscribers? Sky seems to be notorious for clinging to broken, outmoded, outdated technology. Their latest decoders can't even stream 1080p (it's 1080i, is that correct?) while the rest of the world is going over to 4k. They charge extra for things that others have already moved beyond and they can't even make the things they do have work correctly. Most of their offerings are not only saturated with ads, but still SD quality. How is any of this providing an acceptable customer service? Maybe I'm wrong about this. I'm no technical expert. But I am a Sky customer, albeit a reluctant one, and my Sky experience is absolutely lousy. And no, I don't want any of their damn perks. People always mention how sky is full of adverts, while yes it is, but some of their channels specially discovery,nat geo, the likes come from a foxtel AU feed, and their feed would include advert spots which sky has to fill with their own promos and other such things. But presumably you will at some point in the not too distant future, as decent-model newer TVs all seem to be supporting this feature set now. Decoders should have a decent lifespan, but Sky is still purchasing and installing last generation decoders, that are obsolescent before they are even installed. Heck, forget 4K/HDR, I don't think the current ones can even do 1080P! Which means that, without massive capital investment to replace them all in a hurry Sky won't be able to support the latest standards or compete on picture quality - even if they had an epiphany and decided they want to. Which doesn't excuse the ads they cram into the channels they do control - the Box, Vibe, the now-defunct Zone, both Jones channels, etc etc. Even on the premium channels that are supposed to be ad-free (I'm looking at you SoHo) they persist in deliberatley annoying customers - jarring quarter-screen banners on the bottom of the screen about what's coming up next, shrinking the credits to a quarter of the screen and playing a shouty promo over the closing credits/music, spinning "get mysky" buds in the middle of movies (which is one reason I dropped the all of the channels and Rialto). Yep. SkyGo should be canned. Shouldve been put to pasture ages ago and focus on more content - linear and ondemand. BTW, Year Million via OnDemand was an easy watch. None of this SkyGo BS, dunno why you bother. Straight to the box, watched on and off without any hassle. And likewise with SkyPerks. Agree its rubbish. Its kinda like a telco getting out of its core competency and trying to offer entertainment. Just a waste of shareholders money. Stick to the knitting. I saw a new ad on Sky this evening. Basically thanking Sky subscribers, and that you're paying the athletes' pay cheques. BTW, Year Million via OnDemand was an easy watch. None of this SkyGo BS, dunno why you bother. Straight to the box, watched on and off without any hassle. Sky Go is the only option. On Demand doesn't work for us. Our decoder is from the year nul and no Internet connection (none wanted). I almost never use this feature and it doesn't work in the blue moon that I do want to use it and I want to use it on another device in another room. That is what Sky Go is supposed to be good for. It is almost like they go out of their way to annoy paying customers. Sky can't even do the internet connection correctly on the MySky box's. Every now and then a computer wouldn't connect to the internet, and the Sky box would be struggling as well. After investigation worked out once the Sky box has an IP number it never lets go of it. Computer and Sky box had same ip number when looked at ip's. So if you turn modem off and on, or DHCP lease expires and new ip is issued the Sky box keeps using old number, then if modem gives out this number to another device have an ip conflict situation. Unplugging Sky Link does not fix as it still keeps number, only way to make it take a new number is to reset it, and sometimes also requires reset Sky box at same time. The settings on Sky don't let you set static ip, so can't solve that way either. Know it's not the modem as I have unplugged sky links and no drop off in months. Just renting mysky's at moment unless Sky up's their game. I haven't had an issue with Sky Go, although thats been on an iPad, which gather works better than a PC. 1080i, yes, thats not the best avaiable. But on my many years old Plasma, its excellent. Im watching F1 right now, recorded, sharp as a tack. Now, if Sky "got within the times" and dropped decades old satellite;lite that will be good. I actually prefer satellite. Its robust. Ads, I dunno, I FFW. While Sky is linear, I dont watch linear. I record. If it was OD only, same thing, not linear. SD. Some stuff is SD, Air Crash, other docos. I dont really care as favour the content not the res. Kardashians in 4k wont interest me. Air Crash Investigation in SD does. Now, shopped they go OD only, which is todays tech, what happens to those that have no other option that Sky for FTA? The Govt will take care of that, as they should? Yep, ads are ads. with this anti ad need, Id love NO ADS anywhere, for everything. But fortunately, we can rely on the annual Briscoes sale to be on this week! Meh. If they axed SkyGo it'd be hard to see whether they'd get more complaints about the service than they currently do. Might as well be done with it and we can end the whining. They cant be supposedly ad free if they arent ad free. Ads are EVERYWHERE I dont get what the issue with Sky is. If you want non linear on linear TV, record it. Id argue that recorded is better than OD. 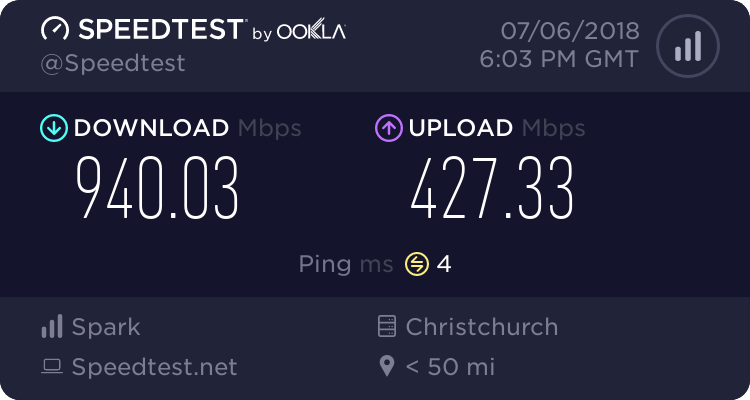 Internet in NZ is excellent, but HDD rules! We are. Im not sure what the problem is. Perks are fine if people actually want that kind of thing. My main point is that they need to get the basics working correctly before they starting dithering around with 'extras'. I find Sky OD is great. It buffers to the HDD, so while buffering is obviously a good thing, if it buffers to the HDD than memory, you will get a good experience.